Make like a snow monkey and head to the hills. There is something so enticing about the traveling like a dirt bag, all seat-of-your-pants without any real plans. To wit, it is exotic and adventurous. Yet there are times when it is as equally frustrating as it is exciting — it is not for the faint of heart. However, whatever your experiences are (easy, difficult, and everywhere in between), they will undoubtedly offer up a lifetime of memories, memories that make discovering the world without any real plans the only way to do so. A little while ago, the opportunity to snowboard the Japanese Alps came around. Though I had never been, I didn’t reach for that guidebook or immerse myself in Rosetta Stone. Instead, I looked to friends and other connections I had made over the years to get a better feel for what I was about to be doing. I soon learned that the options were endless, and if I paid mind to economization, a week-long trip might easily reach two weeks, or even three. As you likely expect, the dirt bag in me smiled. And the dirt bag in everyone should smile the same. Getting to and around the land of the rising sun on a budget is possible — it simply requires an eager willingness to take advantage of the resources readily available with a little extra effort. And believe me, it’s well worth it: before you know it, you will be tasting face shots of that legendary Japow and letting lose after a few tokkuris of sake. Flying by the seat of your pants may not be the best option when considering airfare to a far-flung destination like Japan, but flights can be cheap. Don’t rule out searching fares from smaller airports; you may be shocked by the difference in price. Be aware of airlines baggage policies — occasionally they will hit you with fees for ski and snowboard bags, and almost always they will charge you for any checked baggage over 50 pounds. Like a Dirt Bag: If you are over the weight limit, take the heavy stuff out ahead of time and insist to the desk attendant that you wheel your bag to the oversize load drop-off area. While taking your bag over, slyly throw in a few more items. Lugging a 50-pound snowboard bag and multiple shoulders of backpacks through the vast train network of one of the largest cities in the world is overwhelming to say the least. In order to make sure you’re not “that guy” taking up everyone else’s space on the train, the very first car right behind the conductor comes highly recommended. Daily Japanese commuters pile into the trains with surgical precisions (often wearing surgical masks), so being towards the end of the train where fewer people tend to congregate is not only recommended, but courteous to all the people making their work commutes. Traveling to the mountains of Honshu involves a bus or train (there are even buses that leave directly from the airport avoiding the need to go through the city), while heading to northern island of Hokkaido is done quickest and often cheapest via plane. However, if you’ve got upwards of sixteen hours and want to see the Japanese countryside, hop on a bullet train. For Hokkaido: Round trip airfare to New Chitose Airport (Sapporo-Niseko) if booked ahead of time will usually be around $120. Jetstar Japan usually offers some of the best deals. From the airport a bus shuttle will run about $70 dollars round trip. A one-way train to Hokkaido from Tokyo will run about $270. For Honshu: Train tickets to Nagano from Tokyo will run about $70 with a trip time of about two and a half hours. Buses from the airport can be found through the alpico bus service and are about the same price. The winter months in Japan means more than a handful of Australian or New Zealand summer holiday goers, and if the snow is especially bad in other parts of the world (as it is this year) there is a mass exodus of likeminded enthusiasts to this holy land of powder. Depending on your destination, accommodations can and will fill up fast. Expect to Pay: If a room is really calling you (even if it is filled with bunk beds) hostels in Niseko will run about $30 and in the Nagano prefecture about $40. Nicer setups run from $80 to $100. 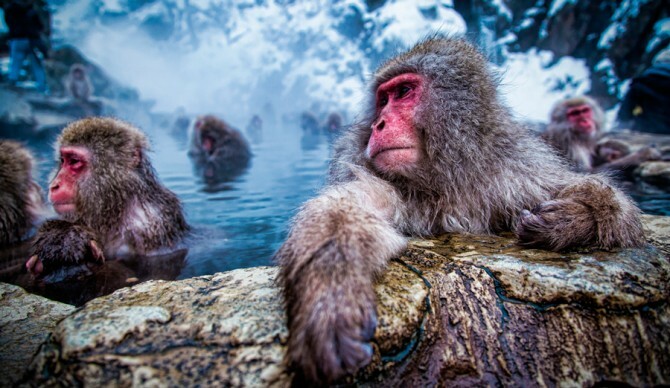 Like a Dirt Bag: If push comes to shove, shovel up a snow cave next to onsen (Japanese hot spring) and call it a day. Local digs are usually the best way to uncover value; however, this is rather difficult if you do not speak Japanese, even once you have determined where to eat. Depending on location, there are restaurants that will have menu items only written in characters, which makes comprehension nearly impossible. If you are flexible and willing to taste the unknown, pointing at random selections makes for fun games. Then there are restaurants that have vending machine type systems with pictures of the food. Simply insert cash and push the desired meal button. A ticket prints off, change is returned, and a server or cook will take the paper. 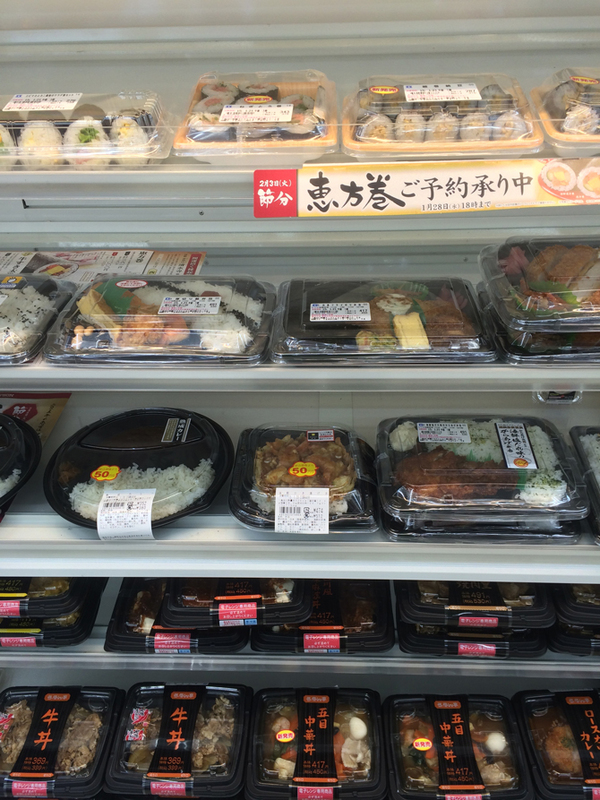 Finally, while convenience stores in the United States have a negative stigma attached to them regarding crusty hot dogs and stale nachos, in Japan, this is where the most straightforward and low-cost food is found. Sushi, steamed buns, sashimi, and sandwiches are surprisingly delicious and make for a perfect stash snack or to-go dinner. Expect to Pay: Seeking food from a convenience store will run you about $15 for lunch and dinner if being extremely frugal. On average meal costs for a mid-range meal will be anywhere from $15 to $30. Remember try and find the local mom and pop restaurants to stretch that dollar. Resorts throughout the country vary in terrain, ticket prices, and services offered. Lift tickets can come in assortment of prices and packages. Ski resorts offer day passes but also provide options such as hourly rates, and pay as you go lift and gondola rides. Ticket prices can also change depending on whether it is on or off-peak. 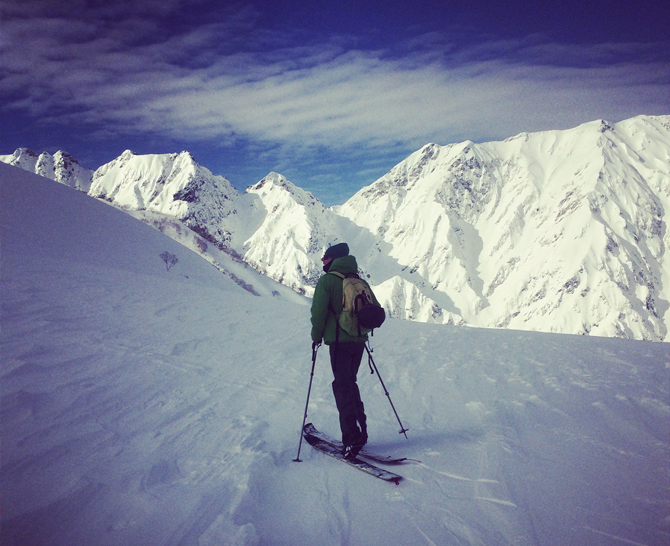 Discipline is highly regarded in Japanese society, thereby the structured recreational activity of skiing is enjoyed both by locals and city dwellers alike. As more westerners frequent this area it would seem as if the Japanese culture is slowly beginning to embrace the change; allowing skiers and snowboarders to frequent the backcountry and tree skiing that has been heavily frowned upon as well as restricted at many of the resorts. For those who have avalanche knowledge and make wise backcountry decisions this type of riding can really make the area burst with the radiance and excitement that make Japanese powder so iconic. Just keep eyes out for those patrollers! In a country that prides itself on patience, politeness, and respect, it can be challenging to understand the differences at both the ski resorts as well as in the city at large. But baffling as it may be, it is not a pipe dream to ride and ski Japan, even on a limited budget.